The Oscar winner shared an adorable video of herself grinning beside her body double, Marilee Lessley. 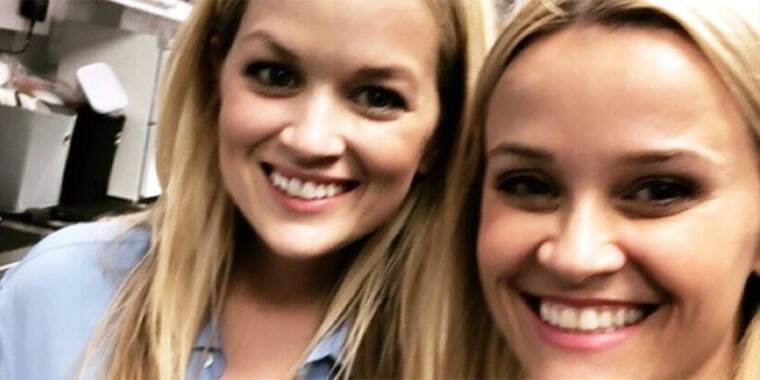 Reese Witherspoon has us seeing double! The Oscar winner took to social media on Monday to share an adorable selfie video of herself goofing around with her Hollywood stand-in, Marilee Lessley. In the cute clip, Witherspoon, 42, beams as she introduces fans to Lessley, who worked as the actress' stunt double on 2011's "Water for Elephants" and as her stand-in on 2005's "Just Like Heaven," among other films. "OK, you guys, I want to introduce you to someone who has been working with me for years. This is Marilee and she's my double," Witherspoon says into the camera before swerving it over to the waving Lessley. Both women are dressed in identical blue shirts in the video, but that's only the beginning of their similarities. Like Witherspoon, Lessley's hair is long and blond and she has the same irrepressible grin and spirit. "Don't we look alike?" Witherspoon shrieks in excitement. "We do. We totally look alike," Lessley agrees. As if the matching outfits weren't enough of a clue, in her caption, Witherspoon confirmed that the pair are working together again right now — on season two of HBO's "Big Little Lies." The two have a long history together: Witherspoon noted in another video on her Instagram Stories that she met Lessley while working on the 2003 film "Legally Blonde 2." We can't wait to see more of these ladies when "Big Little Lies" returns in 2019!